The Jerusalem Open Forum at the Willy Brandt Center took place from the 11th to the 13th of October 2018, under the title “Past and Future Reﬂection and Creation“. After a vernissage presenting the project „Promise Me a Land“ on October 11th the ﬁrst day of the Jerusalem Open Forum kicked off on the 12th of October with our dynamic Workshop on Peace Education, and included Israeli and Palestinian youth movements. Based on a strong belief in education as a way to bridge divides and to change society for the better, the workshop offered an opportunity to meet and learn ﬁrst hand about new approaches to peace education. In the afternoon we were honoured to host Prof. Ali Qleibo, a prestigious Palestinian ethnographer and an expert on Jerusalem’s social history. Prof. Qleibo presented his research titled “The History of the Abu Tor Neighbourhood and the House of the Willy Brandt Center”. Commissioned by the Willy Brandt Center, Prof. Qleibo conducted this intense academic and oral research over the past months, including numerous interviews with former and current inhabitants of Abu Tor. Step by step, he uncovered the fascinating story of an Armenian family, originally from Turkey, who built the house in which the Willy Brandt Center is located today. His presentation offered further engaging insights on the Christian and Muslim history of Abu Tor and its suburban background. We celebrated the ofﬁcial opening of the Jerusalem Open Forum with a unique jazz concert in our garden tent, including the world premiere of an international ensemble whose members are Burak Baysun, Heidi Caviezel, Bakr Khleiﬁ, Philipp Kienberger, Lukas Leitner and Lukas Schiemer. We were grateful for the kind opening words of Christian Clages, Head of Mission of the German Representative Ofﬁce in Ramallah, Martina Wichmann-Bruche, Head of Labour and Social Affairs at the German Embassy Tel Aviv, and to Jana Herrmann, Chairwoman of the German Falken Youth Movement. The second day of the Jerusalem Open Forum began with a fascinating workshop discussing urban development and the role of history, archaeology and narratives in this process. The following presentation, titled “Peace Building and the production of place – A Jerusalem Dilemma”, was given by the award-winning architect Prof. Omar Yousef, who discussed the politics that have shaped the unique development of East Jerusalem since 1967. The participants were then invited to follow Yonathan Mizrachi, archeologist and executive director of Emek Shaveh, on a walking tour and discover the Hinnom valley where history, ancient sites, and political interests are intertwined, at the edge of the Abu Tor neighborhood. Back at the Willy Brandt Center, Dion Nissenbaum, a Wall Street Journal reporter and author, who has travelled to Jerusalem especially to participate in our Forum, presented “The Alley of God: The Promise and Pitfalls of Life on Jerusalem’s Dividing Line“. 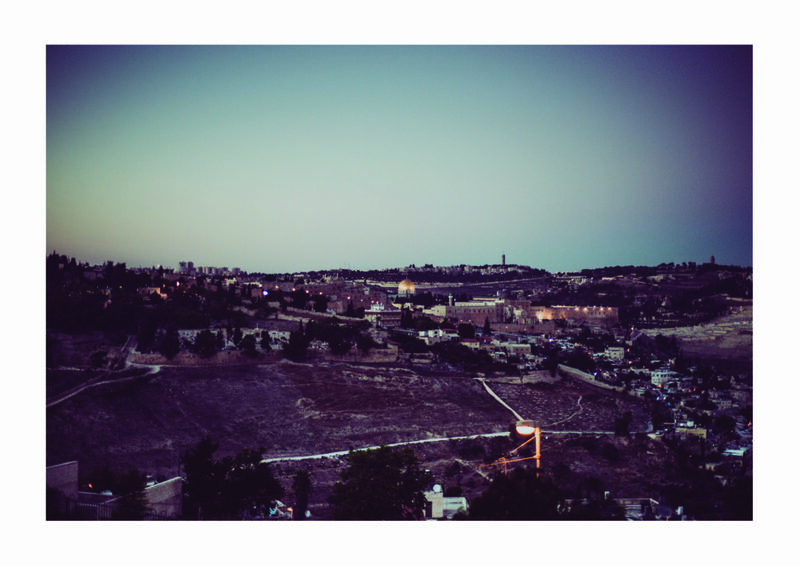 Nissenbaum focused on Abu Tor’s Assael Street, which neighbors the Willy Brandt Center and which has functioned as Jerusalem’s political, cultural, and physical divide between Israeli and Palestinian residents since 1948. During both days of the Jerusalem Open Forum, we, the Willy Brandt Center team, were delighted to welcome large numbers of local and international visitors. We are deeply grateful for the many inspiring encounters and would like thank all of our friends and partners who supported us this year.